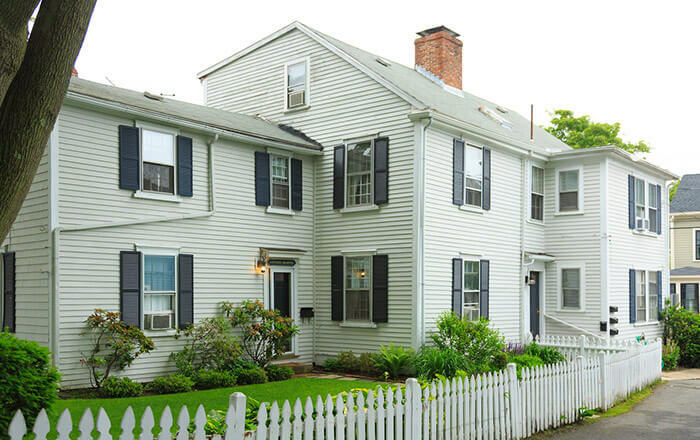 With all the amenities of a hotel but the privacy of your own space, the Admirals House Apartments are ideal for those looking to visit Marblehead for a longer period of time. The Admirals House is a Massachusetts Extended Stay Hotel located within walking distance to the our nearby hotel in Marblehead, MA and houses 5 fully furnished apartments. There is one two-bedroom apartment and the rest have one-bedroom (although most have a pull-out sofa in the living room if additional bedding is required). Each apartment has a full kitchen, living room and private bathroom. Amenities included are twice weekly maid service, cable & wifi, 24 hour call desk, on call handyman, and one off-street reserved parking space. During summer months, guests are welcome to enjoy the pool at the Inn. The Admirals House Apartments are reserved for long-term stays (one month or longer) but if availability allows, shorter reservations (4 nights or longer) will be accepted. If you are interested in reserving one of the apartments, please contact Carolyn for availability and pricing at carolyn@harborlightinn.com.